It's time to enhance your home design with the straight lines and streamlined appearance of this contemporary metal knob. The Amerock BP55273GM Blackrock 1-1/2in(38mm) LGTH Knob is finished in Gunmetal. The BlackRock collection offers sleek simplicity with a contemporary indulgence. This eclectic line boasts bold shapes and sizes. Elegant and eye-catching, Gunmetal is the perfect alternative for those who love metallic, but prefer a hint of subtlety. Use this finish to enhance the modern ambience of stainless steel and black appliances without overwhelming their natural gravity. The Amerock BP55271GM Blackrock 1-3/16in(30mm) LGTH Knob is finished in Gunmetal. The BlackRock collection offers sleek simplicity with a contemporary indulgence. This eclectic line boasts bold shapes and sizes. Elegant and eye-catching, Gunmetal is the perfect alternative for those who love metallic, but prefer a hint of subtlety. Use this finish to enhance the modern ambience of stainless steel and black appliances without overwhelming their natural gravity. Update the look of your indoor living space with the help of the Liberty 1-1/2 in. Stainless-Steel Bar Knob. 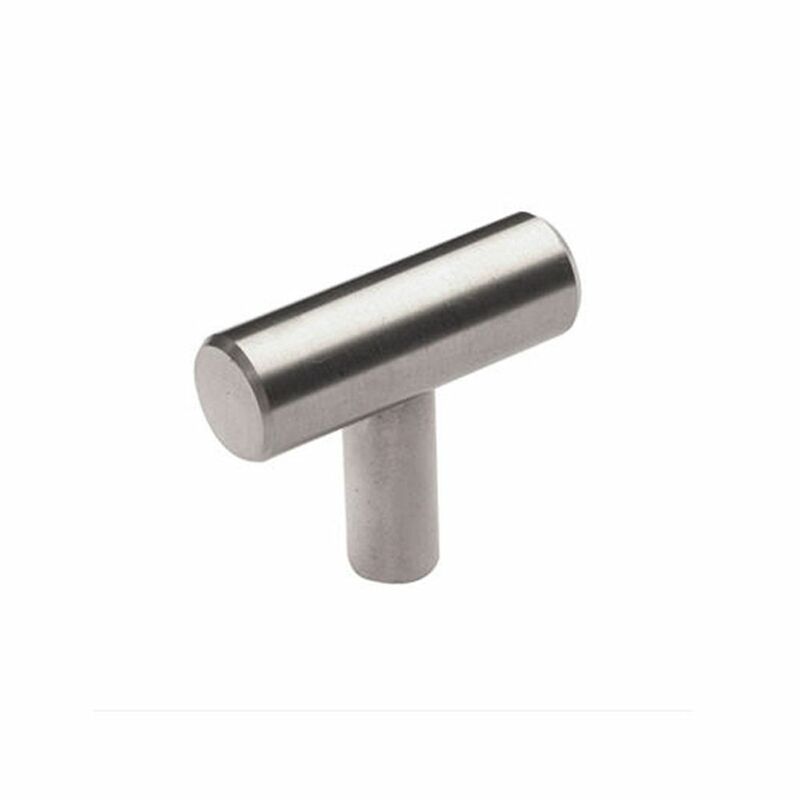 The knob is made with sturdy metal and features a stylish stainless-steel finish. Mounting hardware included for easy installation. Contemporary Stainless Steel Knob Stainless Steel - Washington Collection It's time to enhance your home design with the straight lines and streamlined appearance of this contemporary metal knob. Contemporary Stainless Steel Knob Stainless Steel - Washington Collection is rated 4.0 out of 5 by 1. Rated 4 out of 5 by kitchenrenoqueen from pretty but nickel version half price and identical I don't know why I bought these (it was my husband's decision). They are gorgeous, yes, but they are incredibly expensive, while the brushed nickel version is literally half price and looks exactly the same. Buy the nickel version. Otherwise, style is very modern/contemporary and sleek and makes a small kitchen look absolutely stunning. But buy the nickel version!! !